E2 Visa Attorney: Who needs a Business Plan Anyway? The immigration business plan is a unique document because it is drafted for an audience one. The only person reading the plan will be the reviewer at the immigration service center or a consulate. These civil servants start each day with a stack of visa applications. The document on the top of the pile of papers is the business plan. The quality of the business submission will set the tone for the evaluation of the visa application. The reviewer wants this information in a concise, but detailed plan of no more than 10-12 pages. 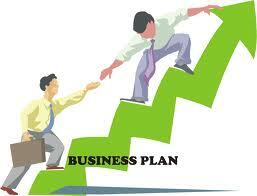 If the plan is 2 pages, it will probably generate a rejection letter requesting a real business plan. If the plan is 30 pages with graphs and pictures, the reviewer will probably not be happy. The reviewer does not care if the business is the greatest company in the world; they are not investing in the company. Visa application compliance is the reviewer’s only concern. The introduction may include the executive summary and market information. The business description section includes products and services, operations and marketing. The financial section may include sales projections, budgets and income statements. One decision to be made is whether to prepare the plan yourself or retain a professional immigration plan writer. Many visa applicants have the writing skills to prepare an immigration business plan. However, whether one wants to devote the time to the plan to save the writing fee is a something to be carefully considered. Considering the importance of the plan to the visa application, a plan drafted by an immigration plan specialist may be money well spend. Let us know if you need any assistance with your Business Plan for E2 visas.